This project is suitable for any time of year, but I think it has special significance during the Easter season. Before we begin our class, the second graders and I talk about Jesus’ life, death and resurection and why the butterfly is an Easter symbol. 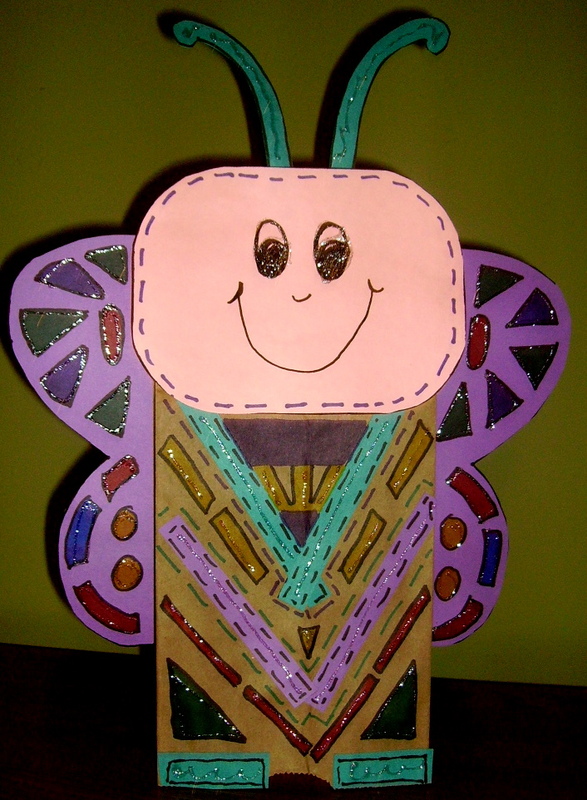 The patterns and directions for “Paper Bag Butterfly Puppet,” can be found in the 2nd Grade Projects Gallery in the sidebar. Click on the picture above for a close up look at the project. This entry was posted in 2nd Grade and tagged 2nd Grade, arts and crafts for kids, brown paper bag butterfly for kids to make, brown paper bag puppet for kids, butterfly craft for kids, butterfly puppet, easter season, paper bag, paper bag butterfly puppet. Bookmark the permalink.